The review follows numerous allegations of research misconduct against Carlo Croce, described in a March 8 story in the New York Times. According to the Times article, Croce has been the subject of multiple investigations; at least five of those inquiries from OSU cleared him of wrongdoing. The summary of the analysis of how OSU handled allegations against Croce, conducted by law firm Ropes & Gray and released on Friday, noted a few improvements that could be made, including adopting a policy whereby OSU informs any outside institution when the allegations primarily affect research conducted there, and giving the research integrity officer (RIO) the authority to weigh in on issues arising from potential conflicts of interest. In this instance, the journal decided to issue a correction and not a retraction. Croce has a total of eight retractions and 15 corrections. Although the review focused on OSU’s probe into allegations about Croce, this isn’t the first time the institution has taken a second look at its investigations: In 2013, an investigation by The Columbus Dispatch revealed that the U.S. Office of Research Integrity (ORI) asked OSU to redo its investigation of pharmacy researcher Terry Elton. Although the institution originally found the problems with his images were due to disorganization, after prompting by the ORI, OSU concluded that Terry Elton was guilty of misconduct. OSU carried out preliminary assessments of the remaining allegations of research misconduct. 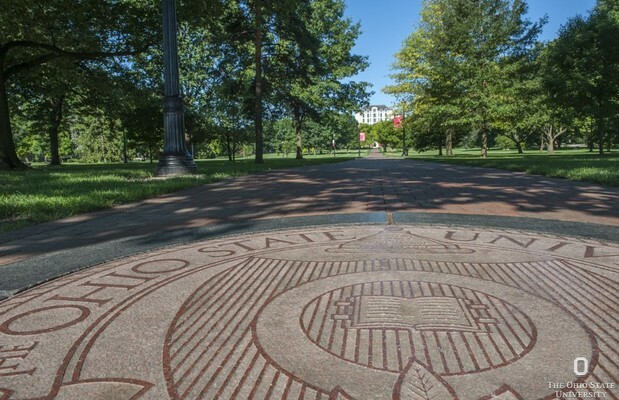 All institutional decisions rendered in resolving each of the Past Allegations were defensible and reasonable…Each of the corrective actions that OSU pursued in connection with the Past Allegations fell within the range of acceptable practice. We asked some of the best minds in the country to review our research policies and procedures, and give us an honest and thorough assessment…We are grateful for the careful evaluation and detailed feedback. We will adopt the Ropes & Gray recommendations and are continuing our own assessment of the research enterprise to ensure our practices not only comply with, but exceed, federal and legal requirements. -clarifying that the research integrity officer (RIO) will take steps to sequester evidence before notifying a respondent in a research misconduct proceeding. -formalizing the responsibility of RIOs for managing conflict-of-interest issues during a misconduct investigation. -establishing a standing faculty committee on research misconduct because of the expertise and time commitments required; the current practice is for these committees to be established on an ad-hoc basis. -routinely referring to other institutions any allegations of misconduct related to research carried out primarily at those institutions. -adopting, for biomedical research, uniform authorship standards of the International Committee of Medical Journal Editors. The final investigation report reflects a detailed and appropriate investigation of the allegations in question. Despite the cloud of allegations against him, Croce has recently received several prestigious awards for his work, including a share of the Dan David Prize in February — which came with $300,000 — and the 2017 Margaret Foti Award for Leadership and Extraordinary Achievements in Cancer Research, from the American Association for Cancer Research. We contacted Croce and his attorney, Thomas Hill; a representative of Ropes & Gray referred us to OSU. We’ll update the post if anyone else responds. According to the OSU release, the university is starting to implement an “advanced research integrity plan,” including training 25,000 researchers online; the OSU spokesperson told us the university is also hiring additional research integrity officers, and revising its Research Misconduct and Research Data policies. Last fall, an ORI division director left the agency to join OSU as assistant vice president in the Office of Research Compliance.